November 26th, 2013- New Product Alert- VHX Instruments FJ40 Black w/ Blue Backlight $795.00 $755.25 Save: 5% off PRE-ORDERS-- will deliver in early to mid January 2014-- The new VHX Systems fit directly into the stock instrument bezel of a 1962-84 Toyota FJ40 without modification. Fully lit needles, backlit faces, and highly visible LCD message centers are a few of the things that you can see which set the VHX Series apart from yesterday’s traditional approach to instrumentation. A few of the features which you don’t normally see are the micro-controlled precision stepper motors, solid state sensors for unparalleled accuracy, and user-customizable display feedback, all supported by an unrivaled limited lifetime warranty which has become the standard for Dakota Digital instrumentation systems . Cruiser Solutions worked directly with Dakota Digital to provide them with the initial bezels for this unique gauge cluster! October 4th, 2013- ARB Air Locker- New Logo AND All New Air Locker Design!! The ARB Air Locker product line is receiving a new logo and branding with an exciting modern look to coincide with the announcement that 100% of the Air Locker product line now includes the patented two-piece case design, forged gears, and 5-year warranty. Incorporating the ‘A’ and ‘L’ of ‘Air Locker’ in a stylized symbol of a mountain, the new logo gives the brand a fresh revision that further strengthens an internationally renowned brand that has been synonymous with traction since 1988. Look for the New Air Locker soon at Cruiser Solutions and our website! If you stay up till midnight on Christmas Eve wrapping shackles, ARB compressors and Autometer guages, then we have the solution for you. Introducing Tiny Olive reusable fabric gift bags...no more tape, no more paper. Just as Landcruisers are passed on from one generation to the next, Tiny Olive bags are circulated between friends and family for decades to come. We proudly support the launch of this new business and hope Lola Land Cruisr brings TinyOlive.com a successful first holiday season! To visit their website, please click on the Tiny Olive logo above. NEW for Fall and Winter 2011- Troop Carrier D-Ring Belts- Available in Large and Kids sizes. This 100% cotton belt is manufactured inb the USA in the great state of Maine! The 1981 Troop Carrier will sure to set you apart at work, gatherings or on the trail. November 2009- ARB announces a new shock- NitroCharger SPORT! 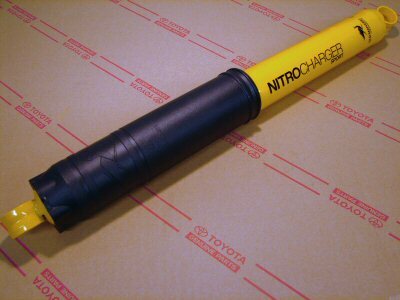 Look for the new NitroCharger Sport through out the many suspensions that ARB offers. ARB has dedicatd the last 2 years to R&D of this totally new shock absorber. June 18, 2009- NEW FJ40 Frame Rail Sections available! Sold as LH and RH sections. Rear Frame repair is now possible!! 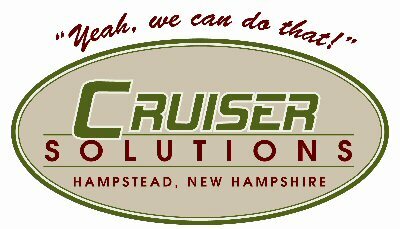 June 3, 2009- See Cruiser Solutions on Facebook. Note the link to our Facebook page on the left side of your screen. Visit and see what we are doing in our restoration facility or after hours in our Land Cruiser. May 29, 2009- Cruiser Solutions will attend the Best Buddies Challenge fund raiser 50 mile bike ride from Carver Massachusetts to Hyannis Massachusetts. Our Troop Carrier HJ47 (aka- Wallabee) will be transporting riders to the event. Best Buddies, a great non-profit orginization!! December 24, 2008- New for 2009.... HD Video Updates. Watch our site in 2009 for high quality HD Video updates. Our restorations have never looked better, more clear and snappy. Have a great holiday season! November 12, 2008- Ned's great adventure to Abu Dabi United Arab Emerits (UAE). Refer to our Travel page to see Ned on another great adventure. ARB PRICE INCREASE! No fooling. ARB will be increasing all it's prices on ARB products on May 1st, 2008. 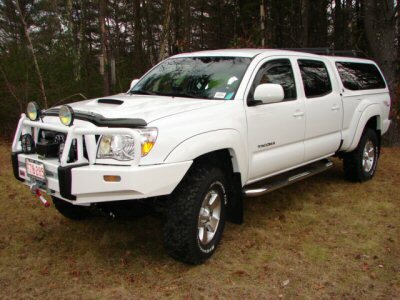 Best to order those Dakar Spring, OME FJ Cruiser Lifts, Bull Bars, IPF Lights and more soon! Toyota FJ Trail Team and Yankee Toys (YT) chapter of the Toyota Land Cruiser Association (TLCA) will be meeting at Cruiser Solutiuons on Saturday April 12, 2008. This will be the YT annual Spring meeting as well at the Trail Team's annual visit to Cruiser Solutions. NEW Web Page- Odd Parts Page. Check it out. It's like rummaging through your grandfather's old barn and finding great treasures! NEW Video Update- FLASH VIDEO is now available!! We are pleased to announce that all of our restorations are now being played using Flash!! To better serve our restoration customer's we have installed Flash Video on each of our current and past restoration projects. Faster loading times, better picture and sound quality, and more playing options helps us to display our high end restorations for everyone to view. Please visit our Restorations web page for this exciting new technology. NEW PODUCT ALERT- FJ40 Front Seat Brackets- THE rear brackets that allow for the front seats to be bolted directly to the floor are now being manufactured by Cruiser Solutions. The "towers" are available in 2 sizes; Tall and Short. The Tall Tower is the passenger's side tower and the Short Tower is the driver's side tower. If you're thinking of switching from bench seats to stock bucket seats these are the items for you. Metric mounting bolts included. ALUMINUM PRODUCTS PRICE INCREASE....again! Effective Monday November 26, 2007 ALL our Aluminum Products will increase 13% on average. 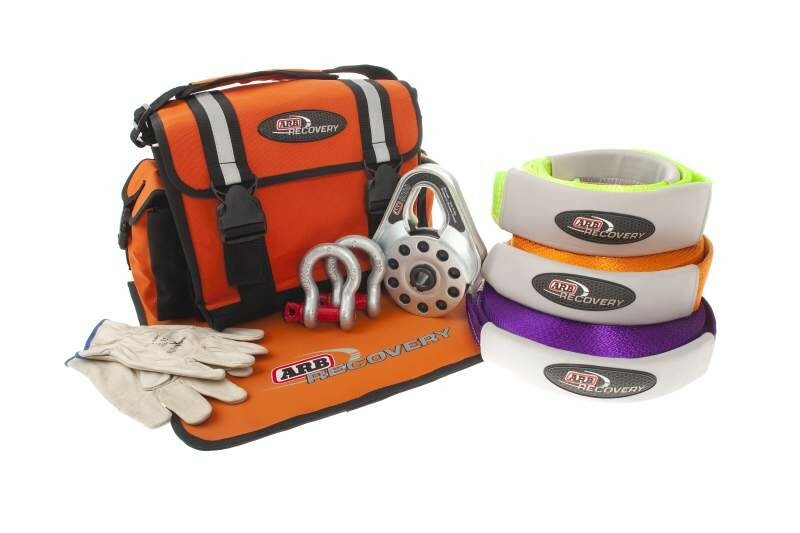 Purchase your Aluminum Products in the NEXT 2 WEEKS! We have thinking about alternative fuels here at Cruiser Solutions. How about you? We are going to be undertaking a unique project and it could be your's. 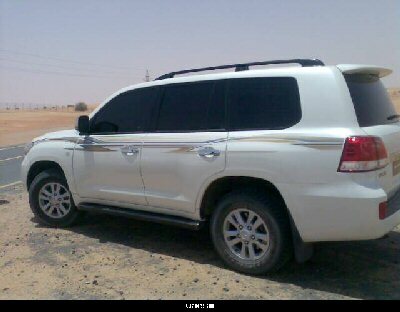 A Hybrid Land Cruiser. The term --Building a Better Land Cruiser-- has been a moto of our's for many years now. Please call if you have had the same idea and would like to see it come to reality. Aluminum, New steel frame, Line-X, Custom Dash Information Center, Stainless Steel and more! Troop Carrier T-Shirt Release- Cruiser Solutions, with Atkinson Graphics, is proud to offer this high quality Troop Carrier T-Shirts! After many years of "T-Shirt envy", Cruiser Solutions has finally produced it's first silk screened T-Shirt. Wait until you see the detail in this custom made T-Shirt. Troop Carriers are becoming more popular everyday. We have been driving our 1981 Troop Carrier for several years now and must say...."these Cruiser's are awesome!!" We get 24-28 mpg on average with the stock 2H diesel engine! Enough of that...this T-Shirt is extremely nice. Short Sleeve's are Beefy-T's and Long Sleeve's are Gildan Ultra Cotton. We chose these 2 T's because of their high quality, soft material, and reputation to hold up well after many washings. Great as Gifts!! *Front has our logo on the LH chest and back has the troop carrier art work. FINALLY!! 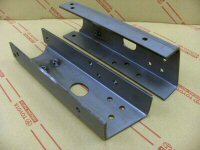 We are now proud to offer the Rear Leaf Spring Gussets(LSG) for the later model FJ40. These gussets have been in development for many years. The biggest problem with production is/was the procurement of metric steel tubing for the bushing mount. That solved..here they are. Constrcted of 1/8 & 1/4 inch cold rolled steel these gussets are BETTER than the original LSG's! Note the factory pressed angles that look like Mr. Toyota made them himself! PRICE- $119.95 each. *Note- they are manufactured in Left and Right sides! Yankee Toys Fall Gathering September 28-30, 2007- Cruiser Solutions will be attending this great Fall off-road event hosted by the Northeast's best chater of the Toyota Land Cruiser Association...Yankee Toys. 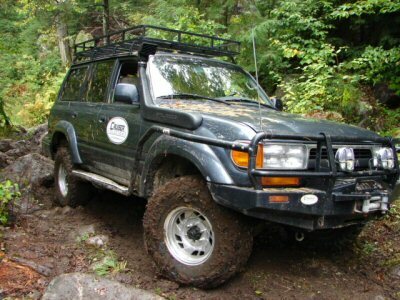 This annual gathering of Land Cruiser owner's is a great way to meet fellow Cruiser enthusiasts, take your Cruiser on a stock or extreme trail ride and enjoy New England's seasonal colors of Fall. Please see the Yankee Toy's website for more information www.yankeetoys.org Also, look for VIDEO UPDATES on Cruiser Solution's Travel page next week. September 23, 2007- Cruiser Solution's customer Tom Lee is featured on the Toyota Land Cruiser Association's website Home page... www.tlca.org Tom purchased our 2007 FJ Cruiser Project Build. He is putting the FJ to the test on trails throughout Tennessee! Tom had Cruiser Solutions install a front ARB Air Locker in the FJ Cruiser right before he picked it up with his wife and drove it back to TN. Now we see what he needed Air Locker for...:) Thanks Tom! 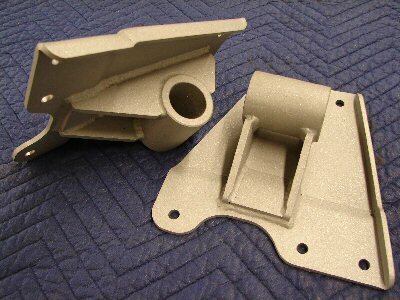 Aluminum Products PRICE INCREASE! We are announcing, effective September 1, 2007, an Aluminum Products price increase of roughly 15%. Why? This is a direct result of the ever increasing cost of aluminum. So as a result, now for the month of August consider that ALL Aluminum Products are ON SALE. Get your orders in now to avoid the up coming price increase on September 1, 2007!!! The FJ Trail Team has arrived at Cruiser Solutions. We have been asked to perform body work and paint to their custom FJ Trail Cruiser. We will be posting VIDEO of this process on our website TODAY. Look for updates of all the days events on the VIDEO OF THE WEEK! If you are in the area please stop by for a burger and to meet the team. New Product Alert- This Summer we will be finally manufacturing and offering Leaf Spring Gussets for the FJ40 1980-84. These Leaf Spring Gussets are slightly different then the pre 1979 style. They have the wider spring bushing eyelet and a slightly different shaped gusset plate. We have had many requests over the years for this non-exsistant frame component...finally it is being made! Watch for a special introductory price this Summer! Update- Cruiser Solutions will hold it's Open House Friday June 29 12noon-6pm and Saturday June 30 9am-1pm. Please join us in welcoming the FJ Trail Team to New Hampshire. We are pleased to announce that the custom fabricated NEW Steel Frames are now available for the FJ40 & FJ45 Land Cruiser. See the details on our Home page! Look for our new Travels web page soon. Adventures are the "life-blood" of a Land Cruiser owner. We have had a few of these adventures over the years that will soon be post on the Travels page. Past adventures have brought Cruiser Solutions to the 1st and 2nd annual Great Smokey Mountain Trail Ride (GSMTR) in Tellico, Tennessee, The Rubithon in California, various Catamount Cruiser Challanges in Massachusetts, The Fall Gathering of the Yankee Toys Chapter of the Toyota Land Cruiser Association (TLCA) here in New Hampshire, and soon our trip to Moab, Utah for the annual Cruiser Moab 2007 event sanctioned by the TLCA and hosted by the Rising Sun Chapter of the TLCA. Where do you plan to Cruiser this summer? 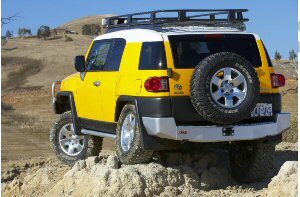 ARB contacted Cruiser Solutions today to inform us they are aware of the concerns of fellow FJ Cruiser owner's surrounding the inability for the reverse sensors to be used with the upcoming FJ Cruiser Rear Bumper. They have brought these concerns directly to the R&D department of ARB Australia. They hope that a Solution can be produced to allow for the sensors to be re-installed into the ARB Rear Bumper. Stay tuned in here for current updates as soon as they are available. We will post this information ASAP when ARB releases it. The DECALS are here, the DECALS are here! Cruiser Solutions has posted great new Decals for great old Land Cruiser parts. Just painted your brake booster and wish you had the Decal that goes on top? Now you can apply an original looking Decal on most all Land Cruiser accessories and stock original parts. We could not believe the accuracy and details of these Decals! Look for the decals on our Toyota Parts page. Cruiser Solutions announces our 2nd Open House and the arrival of the FJ Cruiser Trail Team on June 29 & 30, 2007. This year's event will be as much fun as last year's event. Look for the East Coast FJ Cruiser Trail Team- Troy, Kyle, Garrett, Gustaf, and Brian aka- "Woody", of the Ih8mud.com website, to be in attendance this year. We hope to ad a few surprises over the next few weeks as to who might also be attending. Watch this NEWS page for updates. Trail rides to be available on Saturday. Hey, you can even e-mail us to let us know that you will be attending the Open House. Last year's distance winner came from South Carolina! CRUISER CAM VIDEO has arrived here at Cruiser Solutions. 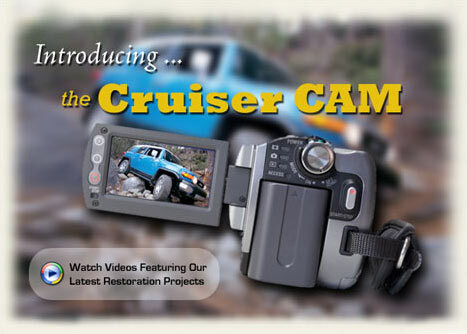 Look for our Cruiser Cam Video on the Restotations page. We will be posting videos of our current restorations. Video will be available with Windows Media Player. ARB has informed Cruiser Solutions of the following updated news; The FJ Cruiser Safari Snorkel is in the last stages of design and will be produced soon, the ARB Rear Bumper for the FJ Cruiser is in the last phase of design, and the 2007 Toyota Tundra's ARB Bull Bar has been designed and is going through it's first installation this week. Watch for all these exciting new products here at Cruiser Solutions later this year! Seen here at the SEMA Show, the ARB FJ Cruiser is outfitted with the new Roof Rack system. Also notice the ARB Bull Bar, Rock Sliders, and Old Man Emu Suspension Kit. Cruiser Solutions carriers all ARB Products. *NEW FJ40 and FJ45 Frames- Constructed of 3/16" QT 100 steel these frames will prove to be as revolutionary as our Aluminum Tubs were 15 years ago. Look soon for pricing, pictures and information on these high quality frames! Cruiser Solutions Off Road Training Event- Cruiser Solutions and Overland Experts of Conneticut will combine forces to offer a unique off-road experience. Designed for new FJ Cruiser owners as well as experienced FJ___(insert your Cruiser number here) owner, this event is designed to teach all of us "old dogs" a few new tricks. Experienced guide and trail leader Bruce Elfstrom of Overland Experts will lead us up, over, and through his custom made series of trails in CT. Watch for more information as to time and date. Once In A Lifetime- Cruiser Solutions presented customer Michael Flynn with his newly restored 1975 FJ40 Land Cruiser at the Boston Garden. 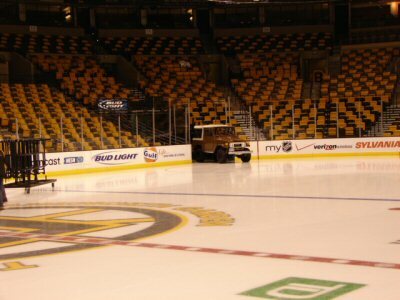 This spectacular evening occured on Thursday Oct. 26 directly after a Bruins vs. Montreal Canadians game. 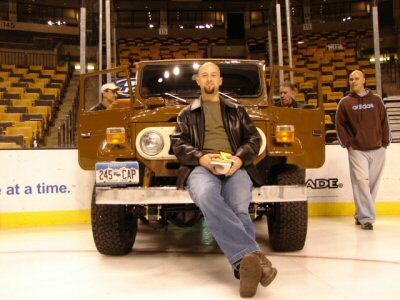 (Bruins lost...:() Michael was celebrating his bachelor party with 25 close friends and family at the Boston Garden that evening. 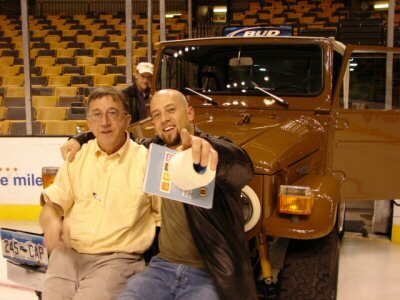 We arranged this event with our good customer and friend Keith Robinson who is a long standing employee of the Boston Bruins orginization, as well as an avid Land Cruiser enthusiast. Thanks for making this evening possible Keith. Thanks also goes out to Pudge, Michael's dad and Best Man, who surprised Mike with this great Land Cruiser.